Mahlab, sometimes spelled mayleb, is a small, wild cherry pit from the St. Lucy cherry. It's commonly used in Greek cooking and it's also used heavily in Middle Eastern dishes. The cherries' pits are ground into a meal-like substance. The cherry tree itself is native to Iran. Like other varieties of cherry, the mahlab tree has a pleasant and aromatic fragrance in spring when the tree's flowers are in full bloom. Mahlab pits are 5 to 7 mm long, about 1/4-inch or less. They're light tan or beige, similar in shape to a small peanut. They have a rose-scented fragrance and a bitter, almond/cherry taste. Gathering and processing mahlab kernels is quite labor-intensive, even in current times. Each pit must be dried and cracked open to get to a tiny kernel inside. Because of that and due to a sharp decline in market prices paid to farmers, mahlab products are not as plentiful as they used to be in the 1970s and 1980s. Mahlab powder is sometimes available in larger markets in the U.S., and you can often find it in specialty groceries that cater to Mediterranean and/or Middle Eastern cuisines, particularly around Easter. Ground mahlab is also available online. It may be marketed as "St. Lucie cherry kernels," "St. Lucy cherry kernels" or "ground cherry stones." If you can't find the ground product, you may be able to purchase the pits whole in certain specialty markets. You can grind them yourself with a mortar and pestle. Using a food processor is not recommended. Mahlab trees are frequently used as grafting stock for other varieties of cherry trees in the U.S.
Mahlab is most commonly used in baking. It works as a flavoring in the tsoureki-type sweet breads traditionally made at Christmas and Easter in Greece, and in Turkish kahvalti corekleri. If you'd like to try it without tackling a new, complicated dish, try adding up to a teaspoon per one cup of flour in other cake or pastry recipes. Mahlab a lot like nutmeg — a little goes a long way. It will make your kitchen smell delicious. Mahlab also pairs well with certain meats. Use it in a marinade for lamb or pork. It's subtle, rich taste combines well with dairy products like cheese, and it's been used in rice pudding recipes. If you're lucky enough to get your hands on ground mahlab powder, don't hesitate too long before you use it. It can go rancid very quickly because it is, after all, made from seeds. This isn't a spice you'll want to buy in quantity and wait to cook with it when the urge hits you to bake something, although you can increase its longevity by sealing it in an airtight jar with a cotton ball and by keeping it refrigerated. 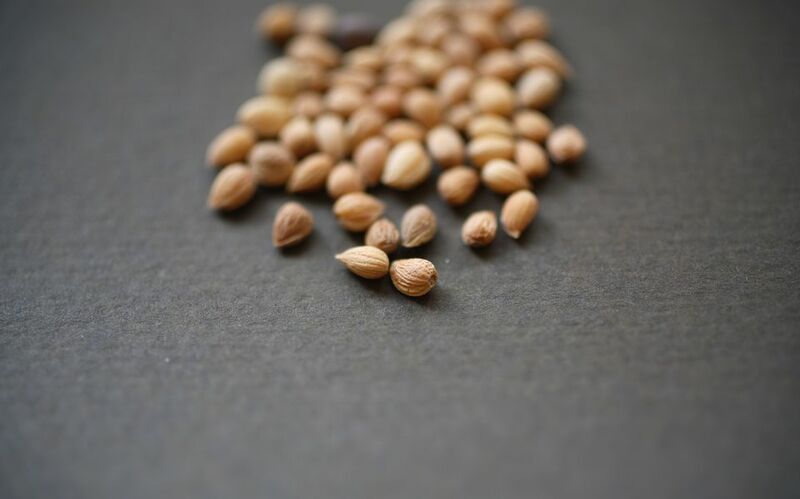 Ground Chinese almonds, dried apricot kernals, ground fennel seeds or cardamom can all be substituted for mahlab if you can't get your hands on the real deal. Alternatively, you can grind together one 2-inch stick of cinnamon with three whole cloves and a bay leaf.